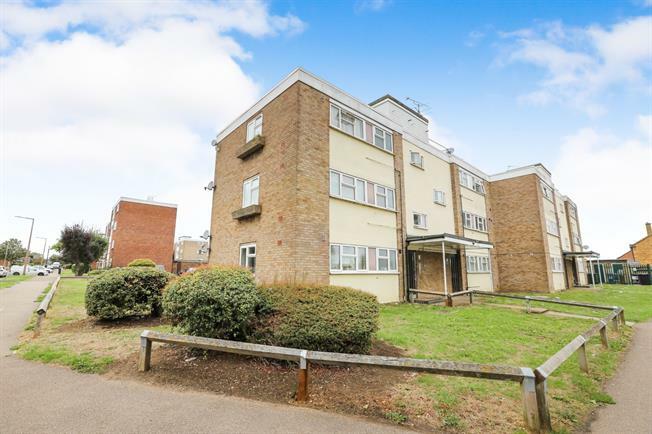 1 Bedroom Flat For Sale in Hitchin for Offers Over £150,000. An exceptionally well presented one bedroom apartment situated on Westmill Road, Hitchin. Hitchin is renowned for its lively atmosphere created by its host of popular shops, restaurants, bars and leisure facilities. This is accompanied by convenient access into London, Cambridge and Peterborough via both direct rail link and the A1(m). The property comprises, entrance hall, large double aspect lounge with vinyl flooring, modern kitchen with space for appliances, master bedroom with built in wardrobe and main modern family bathroom with panelled bath, shower over, low level wc and wash hand basin. The property further benefits from external storage and reasonable service charges and lease length.